Brewerytown is a historic Philadelphia neighborhood bounded by 30th Street, Girard Avenue, 32nd Street, and Glenwood Avenue. The neighborhood is a historically-German neighborhood that once hosted 700 breweries at its peak. Brewerytown was also home to the Philadelphia Athletics major league baseball team’s stadium Columbia Park. Brewerytown currently hosts an array of shops, businesses, and restaurants along Girard Avenue. 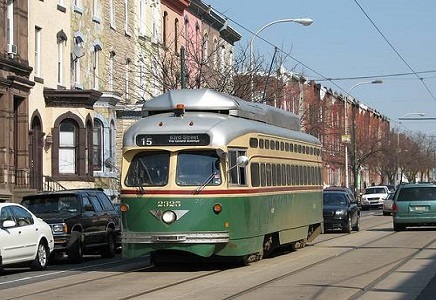 Old-fashioned trolley cars travel along Girard Avenue, the neighborhood’s main strip, as public transportation. Residents can explore the Philadelphia Zoo or scenic Fairmount Park by foot or by trolley. Having quickly established itself as one of Philadelphia’s hottest neighborhoods, Brewerytown has become a boon to Philadelphia’s real estate market.